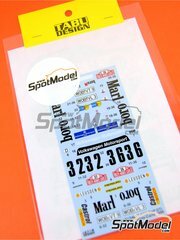 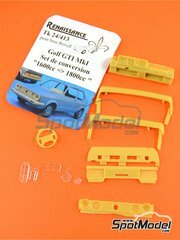 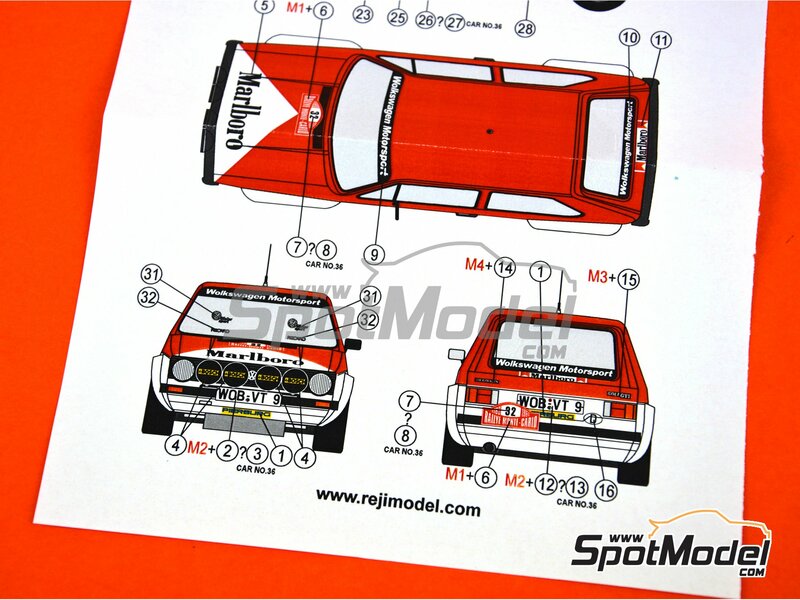 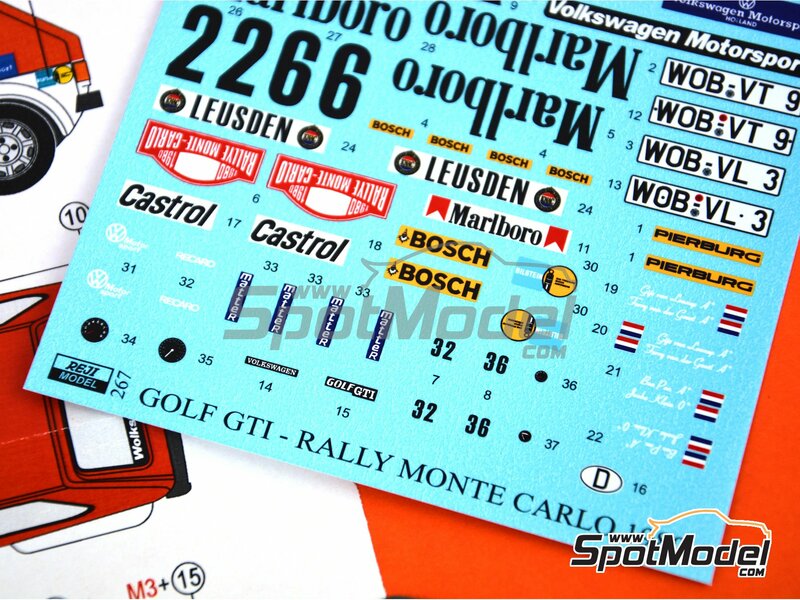 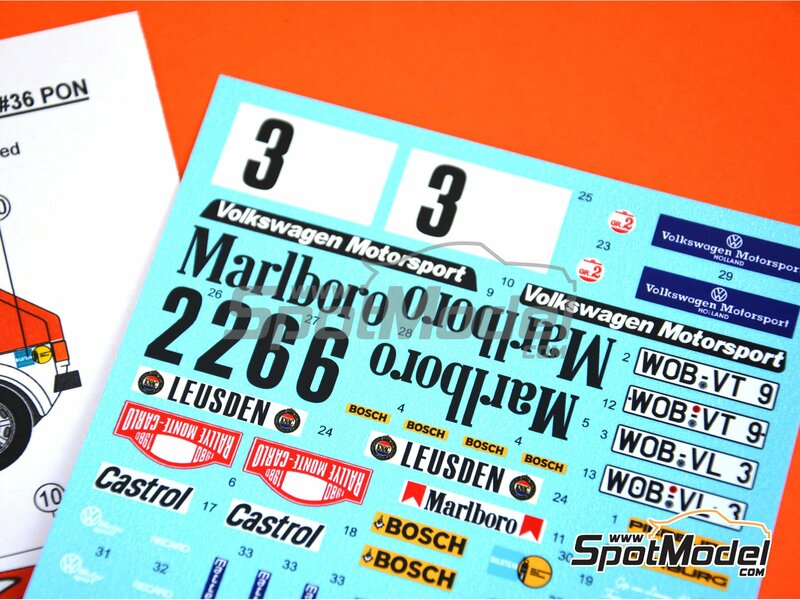 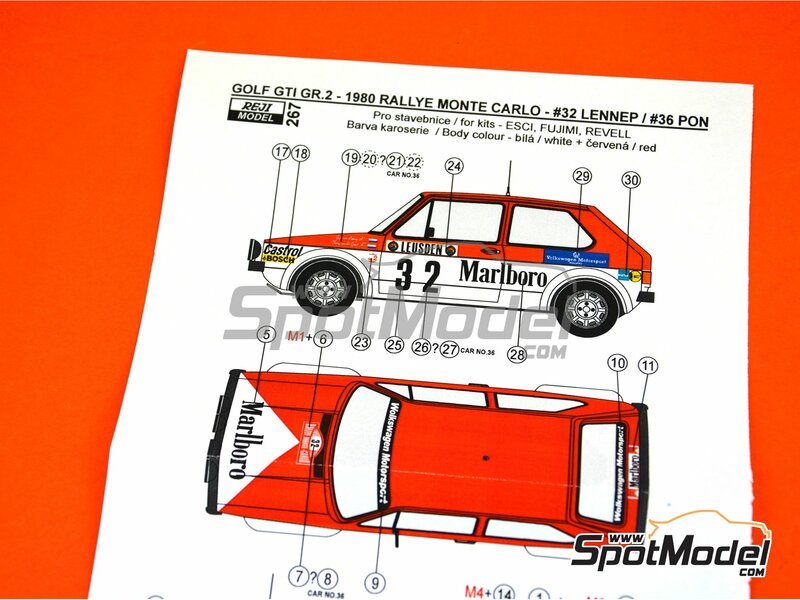 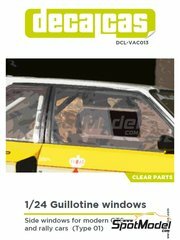 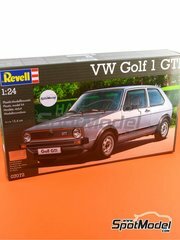 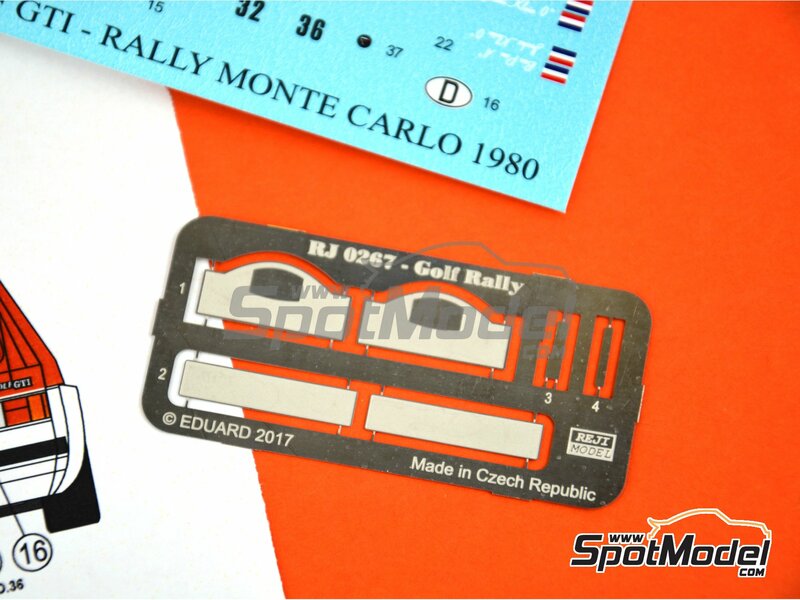 Set of decals and photo-etched parts for decorating the first series Goft GTi as it raced sponsored by Marlboro at the Montecarlo rally. 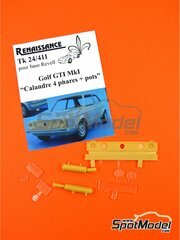 Manufactured by Reji Model in 1/24 scale with reference REJI-267. 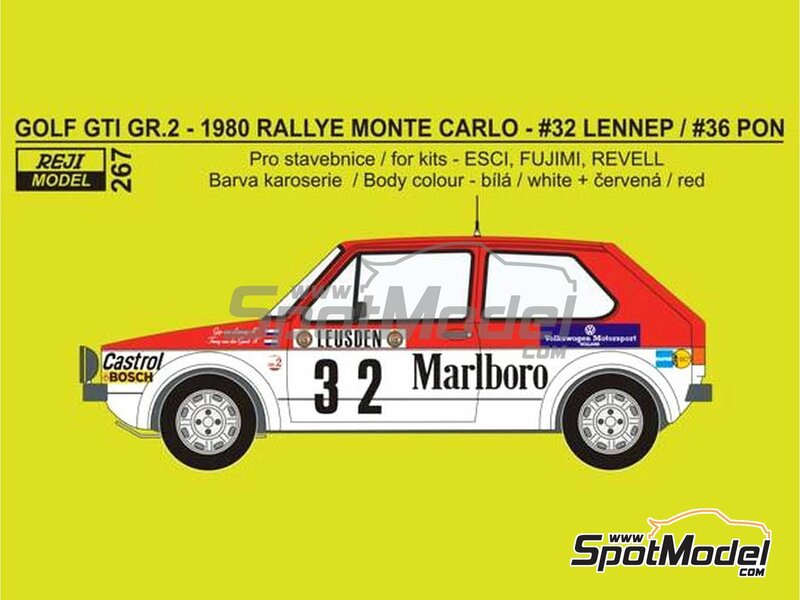 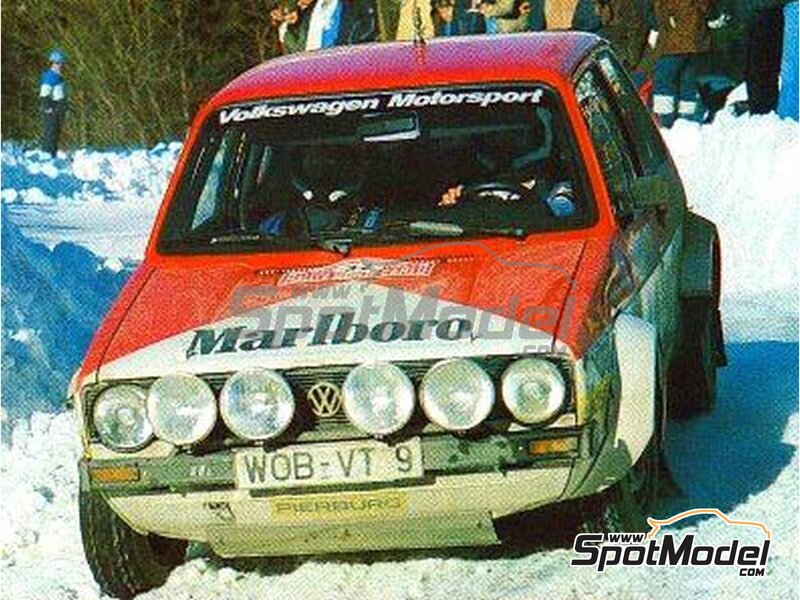 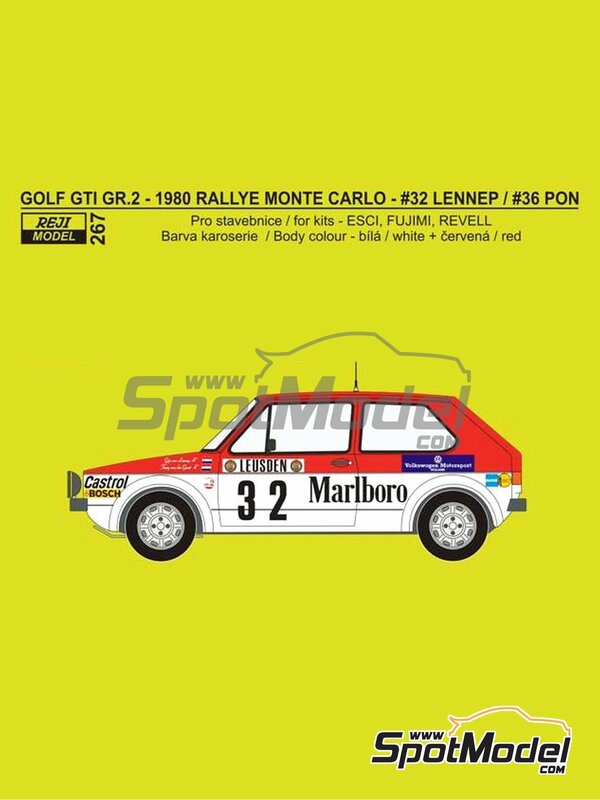 Raced at the Monte Carlo Rally - Rallye Automobile de Monte-Carlo in 1980. 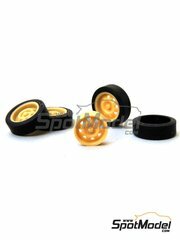 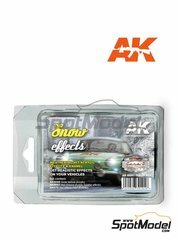 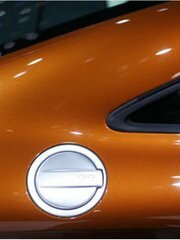 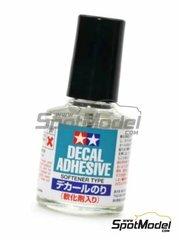 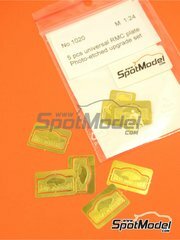 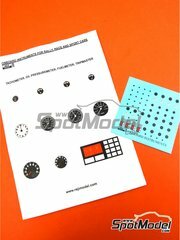 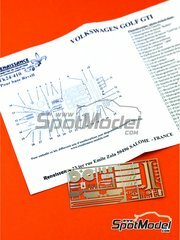 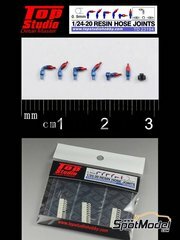 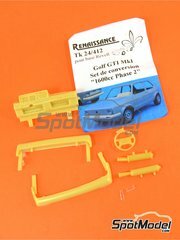 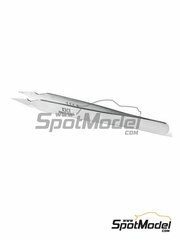 To be used with Fujimi references FJ12275, 12275, FJ126098, 12609, 126098 and RS-58, or Revell references REV07072, 07072 and 80-7072. 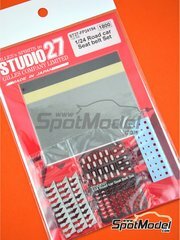 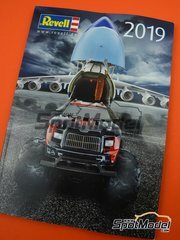 Includes photo-etched parts, water slide decals and assembly instructions. 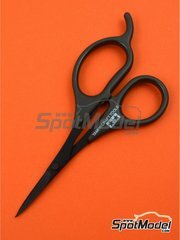 Package measures 120 mm x 190 mm x 1 mm (width x depth x height), weighting 10 g.
Featured in newsletters 266 and 270.